Silver Embossed Metal Service Bell - Ornate embossing, gives a loud clear ring when pressed. Perfect for restaurants, hotels, reseption, shops and home service. 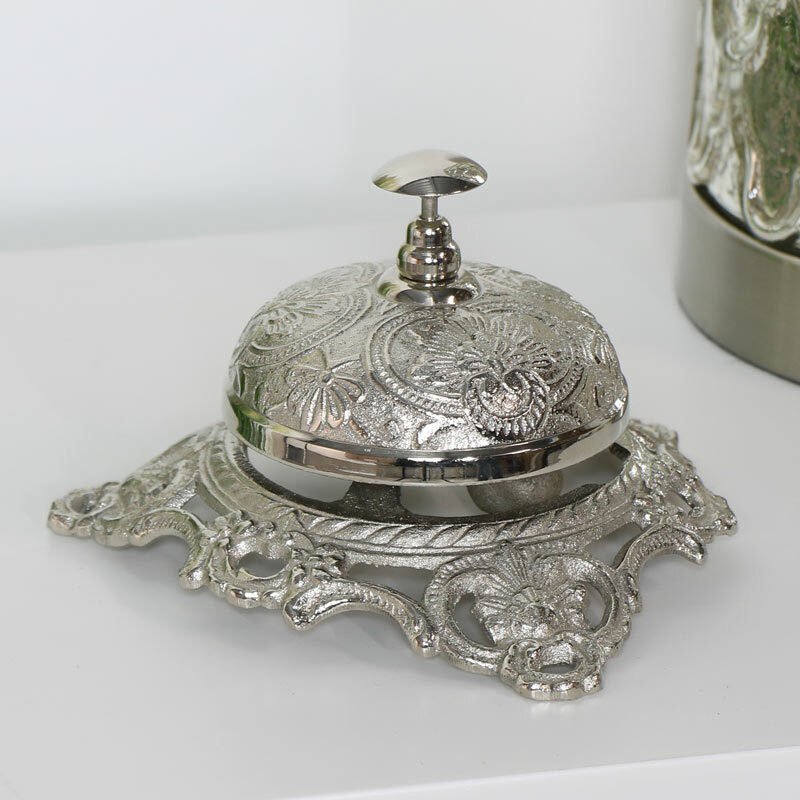 Beautifully decorative polished silver embossed metal service bell for home and work. Clear ring for service creates vintage appeal. Service with a smile, this bell rings loud and clearly to make your presence known. 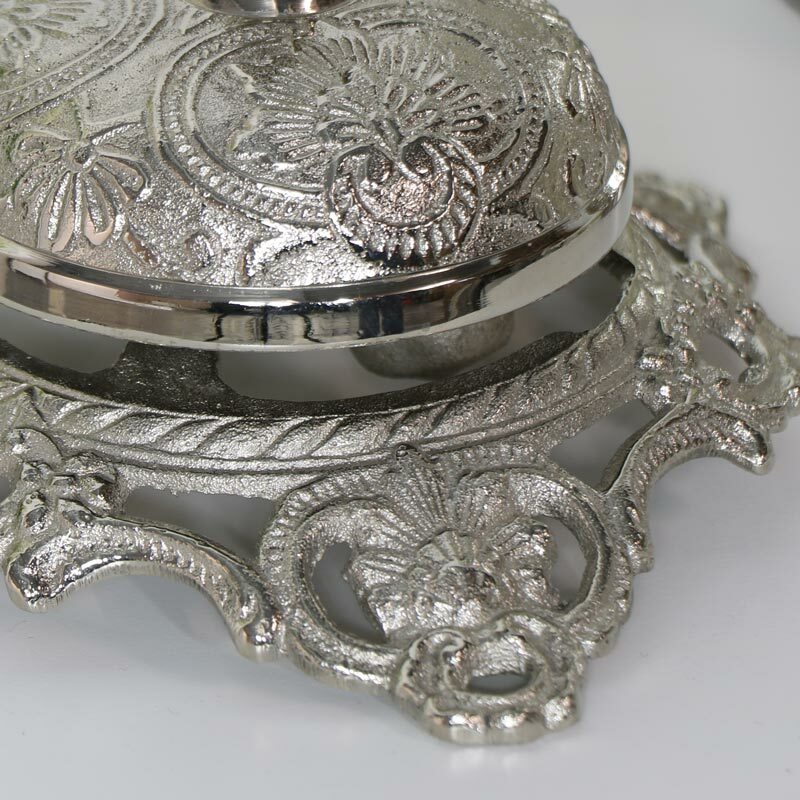 Silver Embossed Metal Service Bell - Ornate embossing, gives a loud clear ring when pressed. Perfect for restaurants, hotels, reseption, shops and home service. 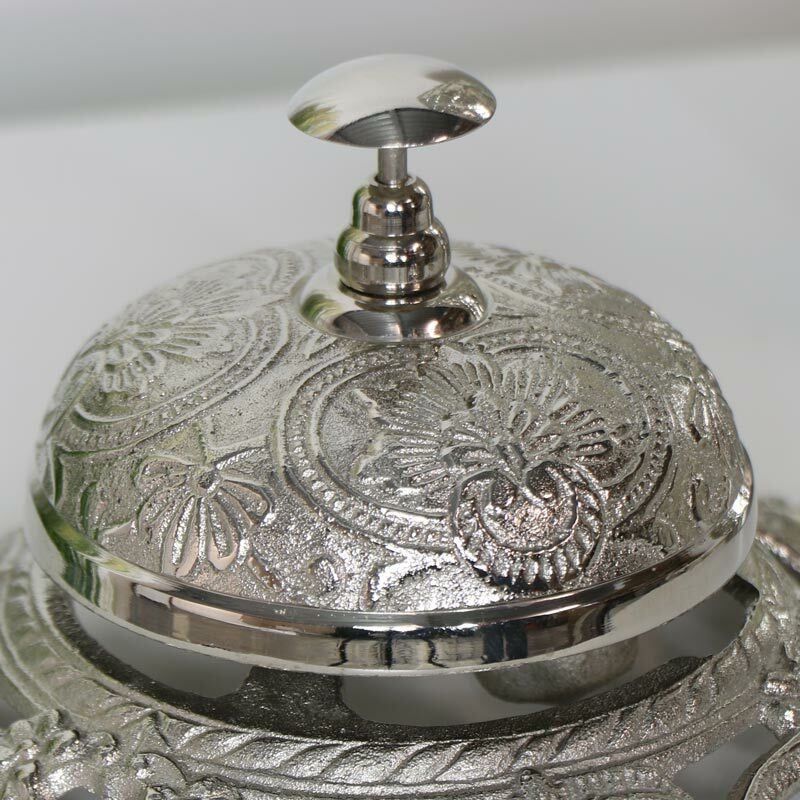 Beautifully decorative polished silver embossed metal service bell for home and work. Clear ring for service creates vintage appeal. Service with a smile, this bell rings loud and clearly to make your presence known. Made from metal in a silver finish with ornate embossed detailing. A fantastic addition to our growing range of gifts and home accessories.